CEBU may be unable to compete with Davao region as the country’s top cacao producer, but the province hopes to get a good share of it by creating its own cacao road map and council. In a cacao forum yesterday at the Cebu Grand Hotel, the Cebu Provincial Government through the Provincial Agriculturist’s Office and Provincial Disaster Risk Reduction and Management Office (PDRRMO) presented the draft of the Cebu Cacao Roadmap to stakeholders. PDRRMO Information Head Eric Lopez said Cebu targets to produce at least 1,000 metric tons (MT) of fermented cacao beans by 2020, from the production of only 64 MT it produced between 2010 and 2014. “This might be ambitious but doable,” Lopez told reporters at the sidelines of the forum. The final copy of the road map is set for completion before May ends and is subject for approval by Cebu Gov. Hilario Davide III, who is expected to issue an executive order to form the Cebu Provincial Cacao Industry Council soon. 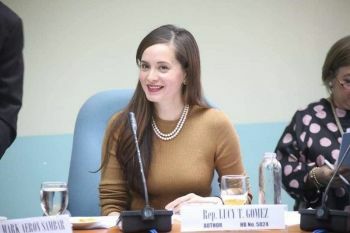 Upon the creation of the local cacao council, where Davide was identified as the chair, Lopez said it is estimated to be given P1 million this year to assist Cebu’s cacao industry. “We were instructed by the Governor in February to draft a road map for the cacao industry in Cebu...We want Cebu to be known as a good quality (cacao) producer. We cannot be the top one producer, because we cannot beat Mindanao, given their land area,” he said. Key issues identified in the local scene, which the council aims to address, include the low level of technical skills in cacao growing, the limited or low-value adding activities, limited access to financing and inadequate supply of good quality seedlings. Presently, there are less than 100 farmer associations, cooperatives, and individual growers in Cebu planting cacao on some 2,000 hectares of land all over the province. The draft road map states that there are only six cacao processors. Nationwide, the cacao stakeholders also created the 2016-2022 Philippine Cacao Industry Roadmap. It targets to produce 100,000 MT of fermented cacao beans for the export and domestic markets through a 40 percent annual increase in production. In 2015, Philippine cacao production stood at only 6,020 MT, data from the Philippine Statistical Authority shows. Of this, 80 percent comes solely from the Davao region while Central Visayas takes only one percent of the share. “There has been a renewed interest in the cacao industry, given the increasing demand and the upward trend in farm gate prices for cacao beans, a significant and a no-substitute raw material in the processing of value-added cacao-based products in the food, cosmetics, and pharmaceutical sectors,” said National Cacao Industry Technical Working Group (NCITWG) Secretariat Edwin O. Banquerigo. Also the DTI Davao Assistant Director, Banquerigo said world cacao demand has nearly tripled since 1970. Soon, the official said they will present the national cacao road map to presumptive president Rodrigo Duterte in hopes of being the first sector in agriculture to do so. From there, he hopes the next president would issue an executive order creating a national cacao council. A council, he said, would pave way for funds essential to aid the country’s cacao industry. Banquerigo said 90 percent of existing cacao farms are small, with ownership profiles ranging from one to three hectares. The Philippines, added the DTI official, is a net importer of cacao, with a trade imbalance from 1990 to present. Globally, there is a projected shortfall one million MT of cacao products by 2020, but this inadequacy has been felt even earlier due to production constraints brought about by climate change, pest and diseases, and aging trees, among other factors. The Philippines is an ideal location for cacao growing, since cacao is an equitorial plant that grows only within 20 degrees from the equator, said Banquerigo. The first cacao in grown Asia was in the Philippines, which found its way to the country through the galleon trade, he noted. Cebu, in particular, is home to criollo, the “cacao bisaya,” a superior quality cacao which has a strong, aromatic bittersweet taste and rich texture, the Provincial Government claims. Major cacao varieties in the Philippines also include forastero, a high-yield variety, and trinitario, a hybrid of criollo and forastero.